As a parent, you want the best life for your kids. You don’t want them to experience pain or fear or feeling left out. Making new friends is often hard for kids, especially those with physical restrictions like Spina Bifida which is why my husband, Tommy, and I started Camp Patrick two years ago. Our five-year-old son, Patrick, was born with Spina Bifida. 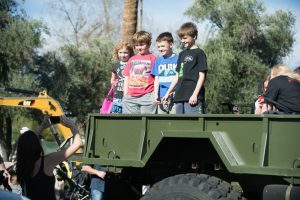 As we began to look for recreational activities to fit his specific needs, we were surprised to learn that a city as large as Phoenix did not have a summer camp specifically for children with Spina Bifida. Summer camp was an important part of my childhood and I wanted to make sure every child – no matter what their physical limitations or medical challenges were – got the opportunity for this childhood right-of-passage. We felt like this was our call to action to develop a place that would be perfect for children like our son. That’s when Camp Patrick was born. Camp Patrick is a unique and wonderful place designed specifically for children with Spina Bifida to work on independence, confidence and meet other kids with similar needs. Many children with Spina Bifida have mobility restrictions and use wheelchairs, walkers, crutches or braces. Most camps don’t offer total accessibility. Plus, many children with Spina Bifida have never spent a night away from home because of their medical issues. Last year was our inaugural Camp Patrick and we were thrilled with the success. The week-long camp was held at Whispering Hope Ranch, a non-profit, wheelchair-accessible campground two hours north of Phoenix. We had 55 campers including many siblings of children afflicted with Spina Bifida. During the week, the campers learned archery, played sports, had the opportunity to interact with horses, participated in arts and crafts, science experiments and used a splash pad to keep cool. Camp Patrick is 100% volunteer runand provides a 1:1 ratio of staff to campers. We have dedicated doctors and nurses who donate their time to be on campus the entire week. This helps ease the minds of worried parents who are likely leaving their child for the first time. We also have dozens of camp counselors who are so passionate about the program, they happily dedicate their time to assuring the campers have the experience of a lifetime. This year we hope to double the number of campers, and thanks to a few fundraising events in the Valley this spring, we should be able to accomplish this lofty goal. The cost to send a child with Spina Bifida to Camp Patrick is about $750. This cost is waived thanks to generous donations from the Patsy Reeve Foundation and supporters of our fundraisers including the Touch-a-Truckevent on February 3 and our Under the Stars with Camp Patrick Gala on March 2. 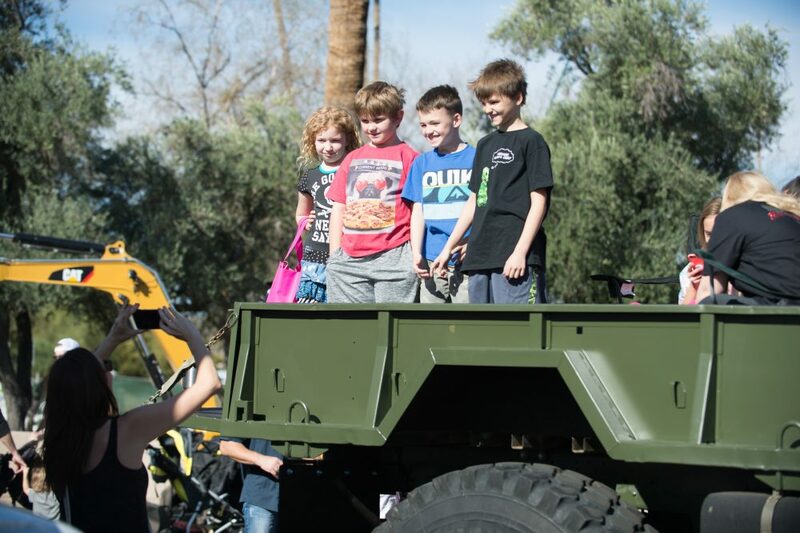 Touch-a-Truck gives families the opportunity to get up close to firetrucks, helicopters, military equipment, tractors, and many other vehicles. The event takes place from 9:00 a.m.-2:00 p.m. at North Phoenix Baptist Church. The entrance fee is $5 with proceeds going to Camp Patrick. The Under the Stars with Camp Patrick Gala takes place at Papago Golf Club in Phoenix. The night will include a cocktail hour and silent auction followed by a plated dinner, program and live auction. Activities begin at 5:30 p.m. and tickets can be purchased online here.